The Peace Garden state is not a friendly place if you like to bet on sports. North Dakota is not a traditional anti-gambling US state because it does allow a lot of ways to wager legally to its citizens. Thirty-two casinos and pari-mutuel facilities call North Dakota home, more of them commercial than tribal. That means North Dakota is home to one of the highest concentrations of legal gambling venues in this part of the United States. But there’s one thing you won’t find at any of those casinos and race tracks – legal sports betting. Even the greyhound tracks don’t allow sports wagering, though you’ll find plenty of casino-style machine games and simulcast OTB-style racing events available for wagers. As I discuss a little later, even bets at US-facing sportsbook websites may be illegal in North Dakota. Here’s a look at the sports and betting scene in one of America’s least-populated and most beautiful states. The state of North Dakota isn’t home to any pro sports teams. This has to do with demographics. The state’s population is around 740,000, and since the state is pretty large, that comes out to just 11 people per square mile. Pro sports teams need population density to survive; even the state’s largest city, Fargo, is tiny, with an estimated 100,000 citizens as of 2014. By comparison, the smallest city with a professional US team in the Big 4 is Salt Lake City, and that city is double the size of Fargo. Two NCAA teams call North Dakota home. They both compete in all sports at the Division 1 level, which is a nice treat for the otherwise sports-starved people of the Rough Rider State. Both teams are famous for participating in NCAA football and NCAA basketball. The North Dakota Fighting Sioux hail from the University of North Dakota in Grand Forks. The Sioux have made a lot of noise in NCAA hockey, which isn’t a major NCAA sport outside of a few niche markets. Still, what the Sioux have done in hockey is impressive – they’ve been in league twelve championships, winning seven of them outright. Before North Dakota’s move to Division 1, they were highly competitive in football and basketball, as well. The team won several D-2 national championships, including one in both sports the season before they transferred into the top division. Their participation in NCAA basketball is forgettable – they’ve had just one player recruited since the 1970s, and they’ve yet to win many games since switching divisions two years ago. But between the multiple championships and the fact that UND has produced a dozen super-famous current NHL players, The Fighting Sioux are primarily a hockey squad. The North Dakota State Bison represent North Dakota State University in Fargo. They’re often called “The Thundering Herd.” NDSU has competed as a D-1 Subdivision school since 2004, and they’ve had quite a storied experience in the ten short years since they joined. NDSU is the first team to win back-to-back-to-back championships in NCAA Subdivision football history. Unfortunately, it can be difficult or even impossible to find Subdivision games to bet on. NDSU had a surprise run during the 2014 NCAA basketball tournament, making it to the third round and beating #5 Oklahoma along the way. Could The Thundering Herd be establishing a new tradition of basketball excellence? One thing that causes some frustration about North Dakota gaming law is its broad definition of what constitutes “gambling.” In Section 12.1-28-01(1) of the state’s criminal code, gambling is defined as “risking any money, credit, deposit, or other thing of value for gain, contingent, wholly or partially, upon lot, chance, the operation of gambling apparatus, or the happening or outcome of an event, including an election or sporting event, over which the person taking the risk has no control.” It basically gives the state the right to define gambling as anything they want, which is partially responsible for the difficult environment of the state for sports bettors. Some people interpret North Dakota law in a way that makes online gambling explicitly illegal. This quote from the office of the Attorney General is the best way to describe this argument: “Online gambling is prohibited under the state’s Constitution, regardless of the amount wagered. In North Dakota, gambling may be conducted only by licensed non-profit organizations, Tribal casinos or through a state run lottery.” I’m not so sure about the AG’s interpretation, since there is no actual prohibition in the state code against placing a bet on a sporting event on the Internet. Another exception to gambling laws in the state – so-called “social gambling.” It’s hard to say how far this allowance goes for sports bettors, but it probably covers things like office pools and March Madness bracket contests. 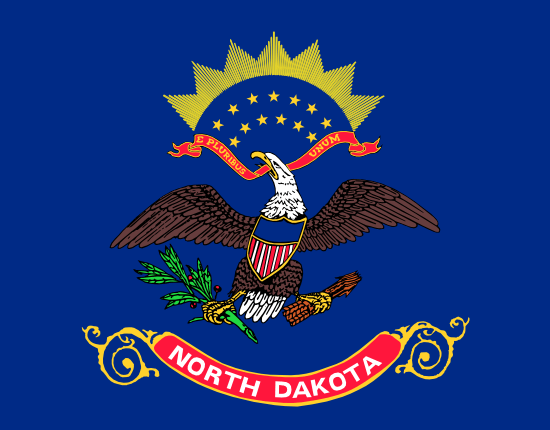 An important restriction on legal social gambling in North Dakota – no one can wager more than $25 on any individual hand, game, or other outcome. Betting $26 or more makes you guilty of a misdemeanor, and you may be charged with a felony if you wager more than $500 in a social setting. A quick check reveals that no one has ever been arrested under this statute for placing a sports bet, so your office pool is probably safe, even if you bet $50 a square. Please note that I am NOT a lawyer, and I do NOT intend anything in this article to be interpreted as actual legal advice. US state law is complicated enough as it is without throwing in gaming into the mix. I’m just giving my observations based on the facts I know about the state and its criminal code. Citizens of North Dakota face some pretty strict gambling laws, but they have outlets for casino-style gambling and racebook bets at greyhound tracks. The state is fairly liberal about social, private, and charitable gaming as well. Sports betting is one area where North Dakota’s laws seem stuck in the last century. Though you can play blackjack and slots in a dozen cities across this sparsely-populated state, you won’t find a single legitimate bookmaker anywhere in the state.